Press Release: Miami Warehouse Building Sold! ComReal’s Industrial Real Estate Specialist, Ed Redlich, announces the sale of the Miami warehouse building at 3400 NW 31st Street. The 87,000 square feet industrial warehouse building on four acres sold for $4,300,000 (or $49 per square foot). The building was sold to The Ingelmo family of Armani Shoes, a local manufacturer and importer of shoes from all over the world. Armani required a larger warehouse building in Miami because they had outgrown their previous building in the Miami’s Fashion District. 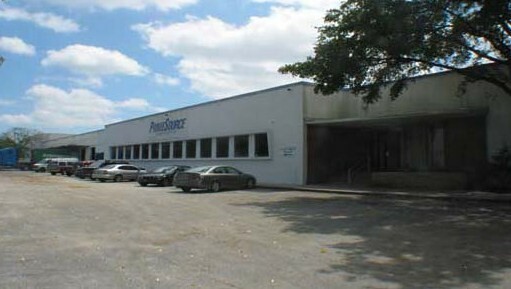 The prior tenant was PrimeSource Building Products who vacated to a newer, more functional warehouse further north. ComReal’s “team approach” provides additional skills and expertise, constant feedback and delivers clients frequent marketing reports. “We really enjoyed working with both families, understanding their needs and reaching a mutually beneficial conclusion.” states Ed Redlich. For more information on Miami’s industrial real estate market and/or consultation please contact Edward J. Redlich, CCIM at 786-433-2379.